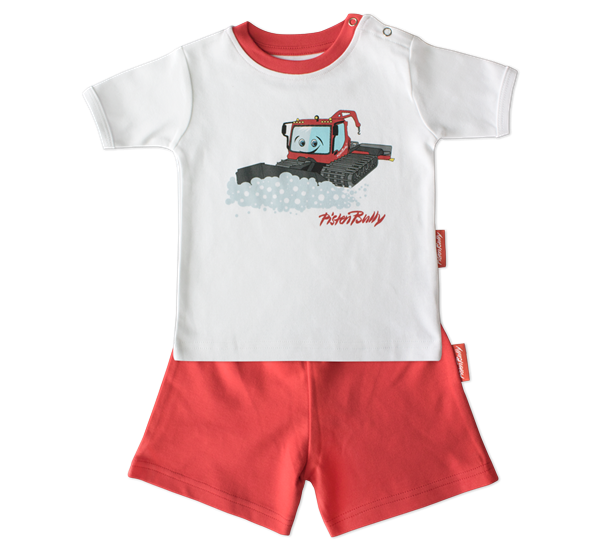 Baby Set consisting of T-shirt and shorts in PistenBully design. The T-Shirt is equipped with two press-studs in the shoulder area. The red shorts are equipped with an elastic waist.